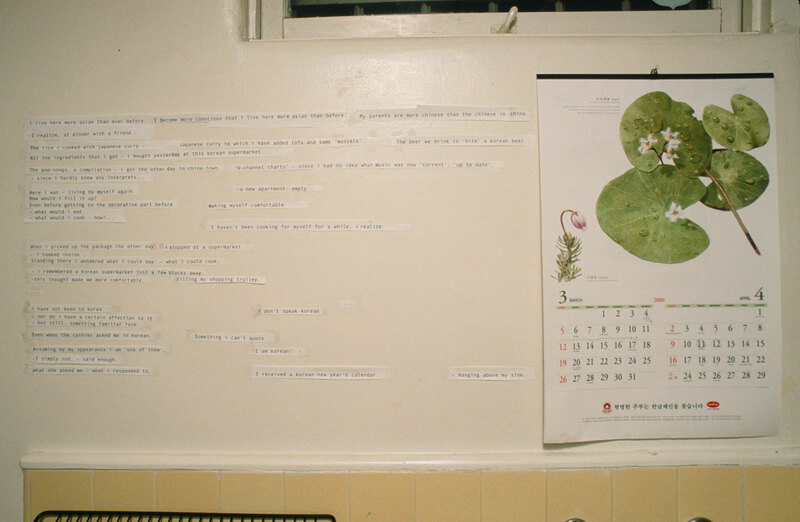 The original installation was at the Mackey Apartment in Los Angeles. Text and a New Year’s calendar from a Korean Supermarket in the kitchen of that apartment. 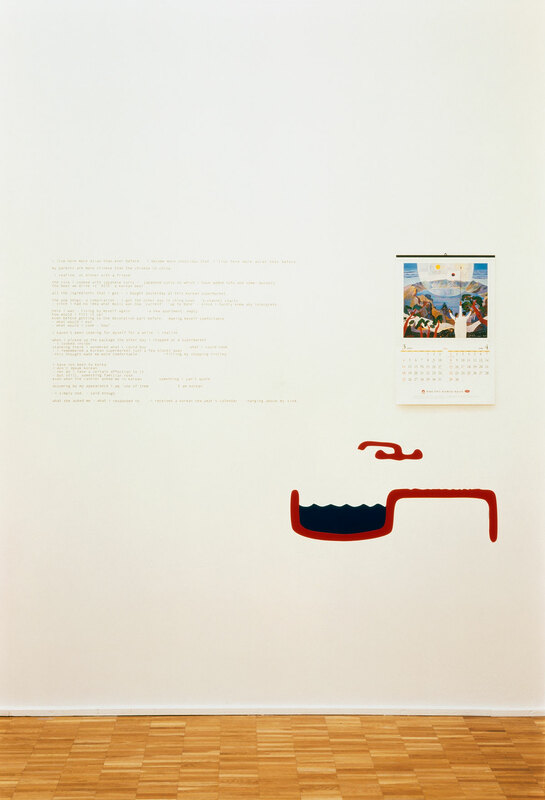 In exhibitions that followed the New Year’s calendar was updated to the year of that exhibition; the sink of the kitchen became a drawing (adhesive vinyl). Image 04: Another text work in the living room at the Mackey Apartment. 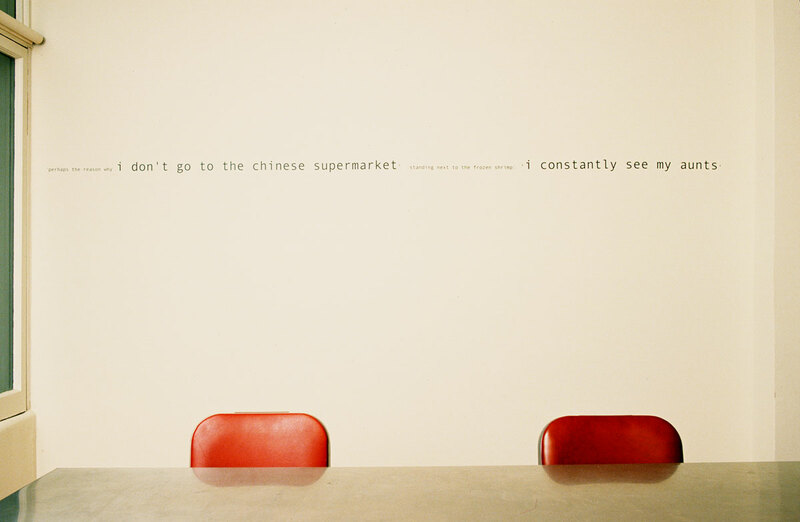 It was installed above the dining table on the wall one saw first when entering the apartment. 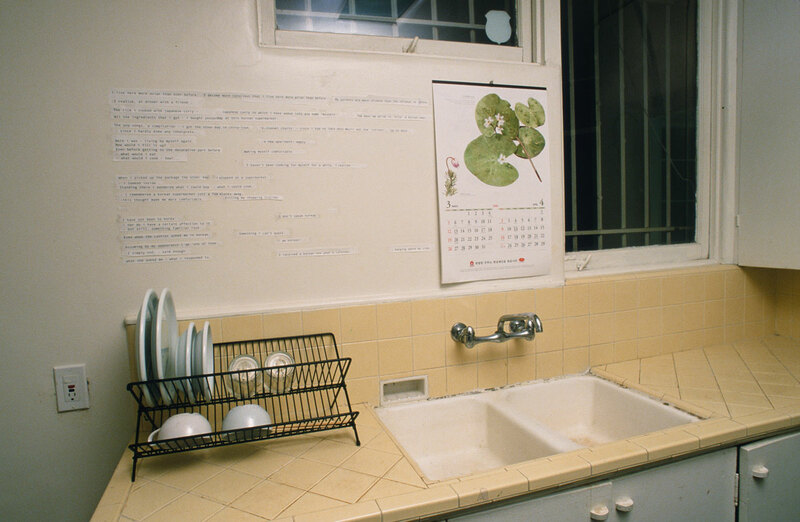 korean new year was produced during the Schindler Residency at the Mackey Apartment in Los Angeles. It is part of a group of works around coming home – daily structures of life.